Following the arrest of 29-year-old Eric Holder in relation to the death of rapper Nipsey Hussle, a big icon in his neighborhood, hip-hop fans have seen yet another influential artist gone so soon. While Hussle was an icon in Los Angeles, further North another rapper has a similar story. Oakland, Calif. and the rest of the Bay Area is arguably one of the most isolated music environments in the U.S., home to rappers like Tupac Shakur, G-Eazy and E-40. Andre Hicks was born July 5, 1970 in Oakland, Calif. He started rapping under the name MC Dre in 1984 but changed it to Mac Dre because it sounded to “East Coast-ish.” Dre recorded and released his first three projects from 1989-91 before he was arrested for conspiracy to commit robbery. The name of his label, Romp Productions, as well as multiple references to “Romper Room” in his releases caused his arrest Around the same time a group of robbers in Vallejo under the name of the “Romper Room Gang” had robbed multiple banks in the area and other businesses. Dre was allegedly in the gang and received five years in prison after he refused to be an informant. While behind bars, Dre was able to record his 1993 album titled Young Black Brotha by recording over the inmate phone at the Fresno County Jail. When Dre was released in 1996, he began to release albums back to back and gained popularity by way of hip-hop radio stations. In 2001, Dre formed his own label in Sacramento, California named Thizz Entertainment. On the night of Oct. 31, 2004, Mac Dre and other members of his label played a concert in Kansas City, Mo. On the way to their hotel, around 3:30 a.m., bullets riddled their white van from another car, striking Dre in the neck. The van crossed over the median into a ravine, where Dre was thrown from the vehicle. The Bay Area legend was dead on arrival. Mac Dre’s influence on Bay Area culture was substantial, with modern artists still carrying on in his name. Events such as Mac Dre Day celebrate his music with artists like Tyga, Mozzy, Philthy Rich and Nef the Pharaoh performing at last year’s festival. The event occurs on Dre’s birthday, July 5. Dre brought attention to the Bay Area through rapping about his experiences and spreading Bay Area culture. He not only rapped about his gangster activity and smoking, he also focused on the conditions of the Bay and how police treated black men in the ‘90s and early 2000s. With influential songs like “Feelin’ Myself” and “Too Hard For the Radio,” Dre had a surge of success after he was released from prison. His murder to this day remains unsolved. Rapper G-Eazy spoke on Dre’s influence on his own career as well as the Bay itself. “He was everybody’s favorite rapper,” G-Eazy said. 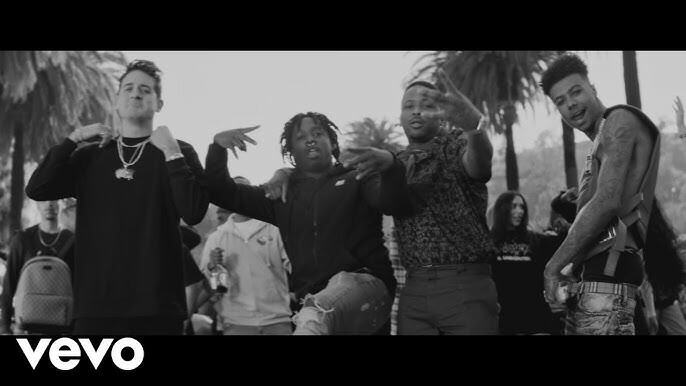 “[He had] the whole scene going on in The Bay.” A 2018 release by G-Eazy, titled “Wasabi” has the lyric “Rest in peace Mac Dre, shed a tear on Nov. 1, will always remember that day.” Even Oakland Raiders running back Marshawn Lynch has shown his respect for Mac Dre, expressed by his dancing on the sidelines to “Feelin’ Myself” in 2017. Most artists in the Bay still carry on what Mac Dre started. With one off references from Nef the Pharaoh, SOB x RBE and Sage the Gemini, Mac Dre has not been forgotten in the Bay Area of California. Below are significant songs released by various artists from the Bay Area. “Feelin’ Myself” is still one of the biggest songs in the Bay, whether through club playlists or artists. P-Lo sampled the track on his 2017 single “Keep It,” movies Fruitvale Station and Blindspotting, which both take place in the Bay, used the track respectively. Released with 2005’s That’s My Word, “Super Hyphie” made it to No. 40 on the Billboard Rhythmic Top 40. The track is packed with Bay Area culture: smoking, partying, and a reference to Mac Dre. G-Eazy had a callback to the track’s chorus by including “Yadadamean? For sure, yadadamean? For sheezy” in his 2015 song “Calm Down” off of When It’s Dark Out. Known as Too $hort’s signature song, the track was off his sixteenth studio album. Drake samples the track on DJ Khaled’s single “For Free.” The bassline, much like other Bay Area anthems, stands out through the whole track. The track hit No. 23 on the top 30 hip hop charts and was No. 5 on Rolling Stones’ “Best songs of 2006.” The track is The Pack’s biggest hit and helped them get signed by rapper Too $hort. With the chorus “Got my Vans on but they look like sneakers,” the track was a testament to their love for the skateboarding shoes. Hitting No. 29 on the Billboard Top 100, “Gas Pedal” is one of the most well-known songs in Hyphy. The track has a simple chorus perfect for parties. Marty Grimes and G-Eazy are longtime friends, having met in high school. “The Famm” is not only a song about their friendship but also Grimes’ struggles in rap and the constant support from his family and friends.